Be a part of the history! 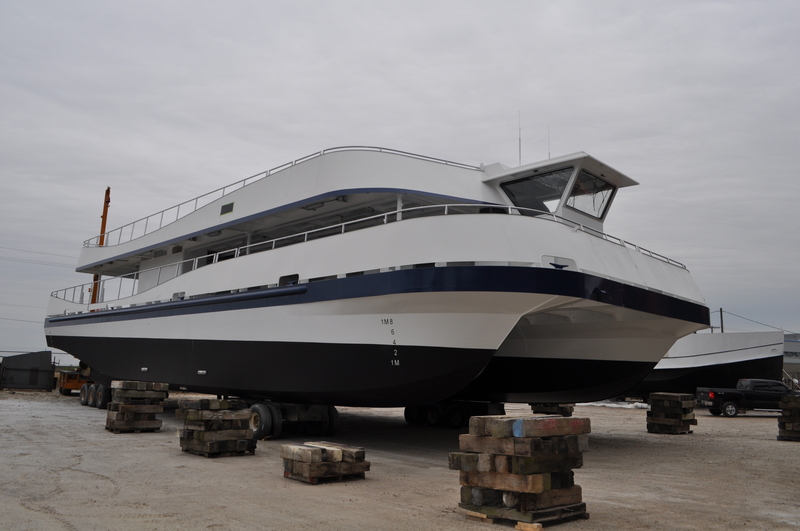 Name Hornblower Niagara Cruises new Catamarans! Hornblower invites participants to be a part of history. NIAGARA FALLS, Ont. – Hornblower Niagara Cruises is about to make history – and they want the world to be a part of it. To kick off the arrival of Hornblower’s Catamarans, the company is now holding a contest to name the two newly built boats for operation in Niagara Falls, Ontario this coming spring. The catamarans will go on to provide Canada’s legendary boat tour to millions of visitors from around the world for the next 30 years. “We are inviting anyone with a winning idea to be a part of history by naming our boats,” said Lee Carr of Hornblower Niagara Cruises. “We are looking for the two perfect names that best reflect Niagara Falls and Canada and inviting people from around the world to submit a name”. The winning names will receive a 5-day VIP trip to Niagara Falls with a luxury hotel stay, meals and entertainment in one of Canada’s most popular destinations. The contest, which is currently open for entry on the company’s Facebook page — www.facebook.com/Niagaracruises, is open until December 15th. The winning names will be announced on January 1st, 2014. The contest has already gained international attention and is being supported by the Canadian Tourism Commission and the Ontario Tourism Marketing Partnership Corporation. Hornblower has received name submissions from countries around the world including India, France, Japan and others. Hornblower Niagara Cruises was recently awarded the concession to operate boat tours to Niagara Falls by the Niagara Parks Commission, an agency of the Provincial Government of Ontario. Hornblower will assume operations from the Maid of the Mist in April 2014. The Niagara boat tour is a world-famous iconic Canadian experience that has been thrilling millions of visitors from around the world for more than 150 years. Hornblower Canada Co., operating as Hornblower Niagara Cruises, will be the official boat tour operator of boat tours to the waterfalls of Niagara Falls beginning in 2014 in partnership with The Niagara Parks Commission, an Operational Enterprise Agency of the Canadian Ministry of Tourism, Culture and Sport. Providing early morning, afternoon, evening, falls illumination and fireworks boat tours to one of the world’s natural wonders, Hornblower Niagara Cruises will deliver an unforgettable experience to its guests in Niagara Falls, Canada. Hornblower Niagara Cruises is part of the Hornblower Family of Companies – a leader in marine hospitality with locations throughout North America. This entry was posted in Uncategorized and tagged cruise, family time, family vacation, Niagara Falls, Reviews & plugs, travel on December 13, 2013 by Nancy.